Xbox LIVE is now offering 25-50% off their XBML content including arcade games, Game Add0ons, Xbox Originals and some other great content. This is even a better reason to upgrade your SILVER to GOLD and get your game online with our HQ Clans. The best deal in home entertainment is getting even better – announcing the new Xbox LIVE Gold “Deal of the Week .” Beginning today, Xbox LIVE Gold members will receive deep discounts (25 – 50% off) each and every week on the hottest Arcade titles, Game Add-ons, Xbox Originals, and other great content. This adds to the incredible value Gold members already receive from their Xbox LIVE Gold membership. The first “Deal of the Week,” available today, exclusively to Xbox LIVE Gold members, is the award-winning Xbox LIVE Arcade title, “Braid.” Hailed by numerous game critics as the 2008 Game of the Year, this Xbox 360 exclusive is available now to Gold members for only 800 Microsoft Points – a 33% discount! Each deal will only be available to Gold members for one week – act fast! For just over $4 a month, Xbox LIVE Gold members get full access to the best multiplayer gaming and entertainment network in the industry. Get a sneak peek at games with the ability to play and watch tons of free demos and trailers a full week before the rest of the community. Get social with video chat, photo sharing, and messaging with friends. 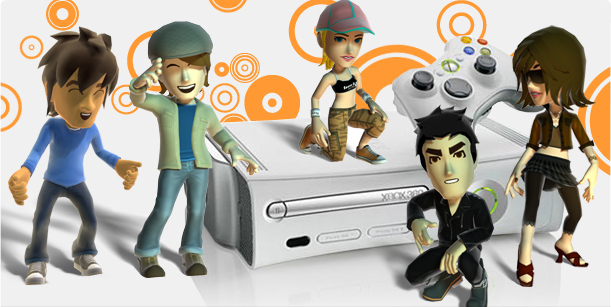 Every Xbox LIVE membership also includes Achievements and Gamerscore, Avatars, insider videos of the hottest gaming events, and tips for mastering your favorite games. The Xbox LIVE “Deal of the Week” is just one more reason why there’s never been a better time to upgrade to Gold. For more info be sure to check back on 360-HQ or visit the official xbox website from the links below..
"Kung Fu Chaos is a quirky brawler game inspired by the '70s Kung Fu movie era. You fight as one of eight outrageous characters going head-to-head with up to four of your friends, battling it out on i..